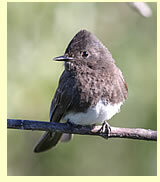 Here is some information to help you plan your birding in the area near San Francisco. 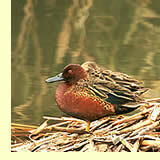 The region includes such fine birding spots as Monterey Bay, Elkhorn Slough, Pt. Reyes National Seashore, Bolinas Lagoon, Bodega Bay and the Sacramento River Valley. There are many species of limited range that found around San Francisco, but are rare in the city itself. Central California has a wide variety of climates and habitats in a relatively compact area and thus has a rich variety of bird species. 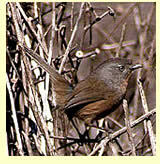 Sequoia Audubon Society, San Mateo County (external link, added March 2007) .